Researchers have spotted the world’s earliest evidence of crushed grapes, according to a new study. It is either that the ancient Greeks loved grape juice, or they used to make wine then – i.e. nearly 6,500 years ago. And, if the charred 2,460 grape seeds discovered along with the 300 empty grape skins were used to make wine, as being suspected, the remains then are revealing the second oldest known grape wine in the world. It is edged out only by a residue-covered Iranian wine jug, which dates back to the sixth millennium B.C. For the Neolithic or the Bronze Age, we have no evidence for markets and a market economy. Production was on a household or communal basis. 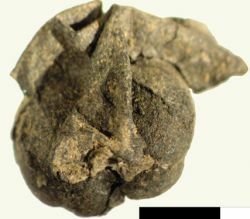 Morphologically resemble wine pressings and could not have originated from charred grapes or raisins. The grape remains were either harvested from wild plants or have originated from a very early cultivar. These findings are published in the current journal Antiquities. ← Warming reducing global crop production by 40 million metric tons per year!